Select a color Purple with orange Purple with black Purple with yellow Blue with yellow White with blue Dark blue Pink with yellow Pink with red Red with white Yellow with black Red with black Orange with yellow Surprise me! Another beautiful garden stake design made from my thicker metal! 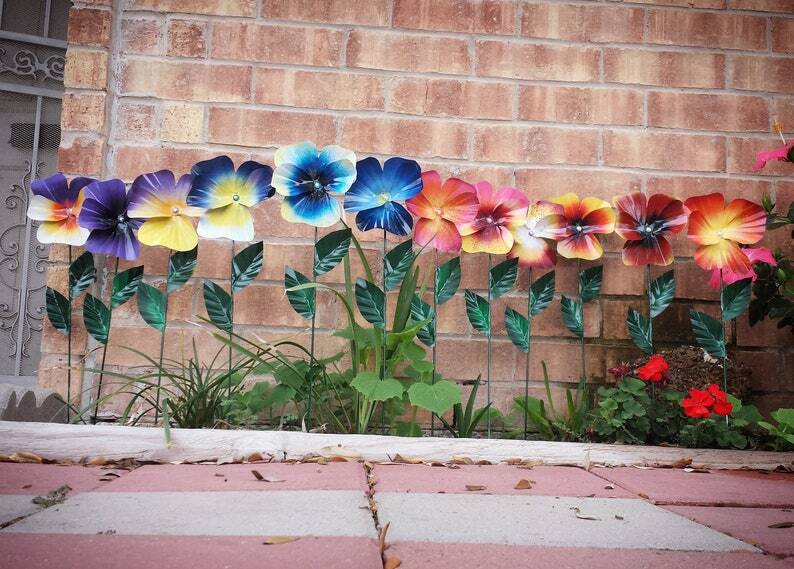 Hand cut, hand molded, and handpainted into a beautiful pansy flower! The flower is about 5 to 6 inches in diameter and almost 22" tall! Mounted on a steal garden stake. And finished off with a tiny jewel in its center. 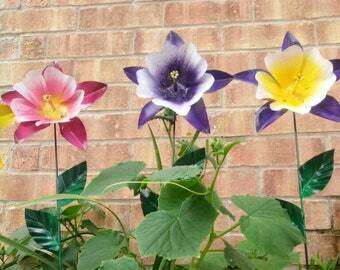 These flowers are one of a kind! Would you like these in a smaller size and in different color options? Check out my smaller size pansy flowers at the link below.. I love my pansy. Very well done. Can't wait for the snow to melt so I can put this in my flower bed.